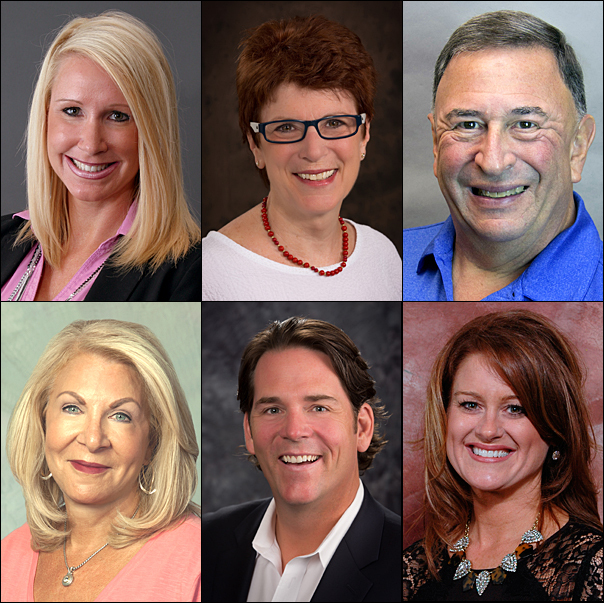 The incoming PPEF officers include (top row, from left) Chair Lori Bauer; Immediate Past Chair Pat Dugan, MAS; and Chair Elect Wayne Greenberg, MAS; (bottom row, from left) Vice Chair – Fundraising Paula Shulman, CAS; Vice Chair – Scholarships Brian Porter; and Vice Chair – Marketing & Recognition Stephanie Preston. Not shown, Vice Chair – Strategic Planning & Budget Drew Davis, MAS. The Promotional Products Education Foundation (PPEF) has named its 2017 officers. They will serve a one-year term, taking office immediately following the PPEF’s meeting at The PPAI Expo 2017. Vice Chair – Fundraising: Paula Shulman, CAS, Prime Resources Corp.
PPEF’s officers are members of its 18-member Board of Trustees. The trustees are volunteers from the promotional products industry and serve three-year terms.